Ruby Rose won’t have to search far for her bat influences. 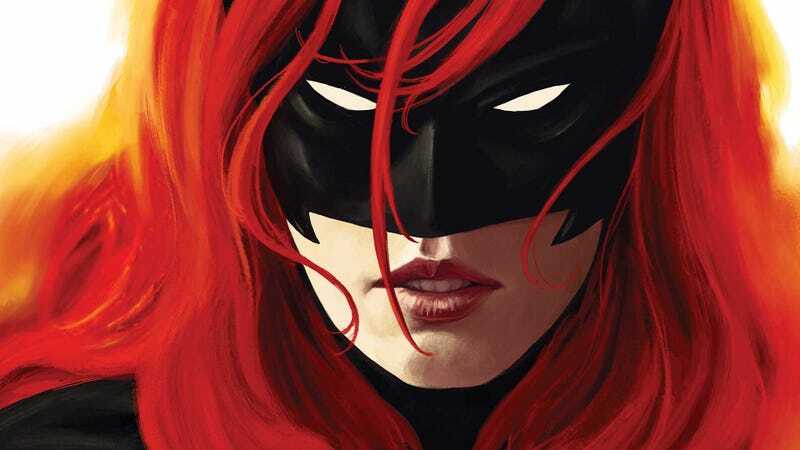 The CW has enlisted Ruby Rose (The Meg) to be their live-action Kate Kane in the upcoming Arrow/Flash/Supergirl crossover special and next year’s potential Batwoman series from Caroline Dries. The moment her casting was announced, it immediately clicked. But now, the actress is sharing just how much like Batwoman she is. You see: Ruby Rose grew up with real bats. In an interview on The Tonight Show with Jimmy Fallon, Rose shared her enthusiasm for taking on the role of Batwoman. She said she found out an hour before the premiere of The Meg (check out our review here), and ended up ignoring most of the red carpet press questions because she “kept spontaneously crying.” She said it’s especially emotional because she’s taking on Kate Kane, one of DC’s few lesbian characters. Being part of the LGBTQ+ community herself, Rose said she never grew up with characters—let alone superheroes—who she could identify with, and said she’s looking forward to being that role model for other kids. Later on in the interview, Rose wowed the audience by revealing how much like Batwoman she actually is. When she was a kid, one of her favorite toys was a pair of bat wings she’d made out of cardboard boxes—because she didn’t grow up with a lot of money—and she said her mom constantly had to catch her jumping off random things while she was wearing them. Rose’s mom also kept bats, so she basically grew up in a Batcave of her own. Na Na Na Na Batwoman!